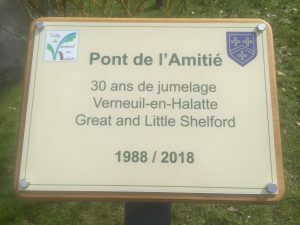 This visit celebrated the 30th anniversary of the village of Verneuil-en-Halatte being twinned with the Shelfords. Our turn to reciprocate will come next year. Time and time again, our members said that meeting up with old friends and the chance to make new ones was their abiding memory of the trip. Spending a morning at the local school was a highlight for our children as the French pupils gathered round and tried to make conversation. A visit to the very modern Musée de la Grande Guerre in Meaux was also greatly enjoyed by the children and adults alike. In the afternoon, there was a tour of a local cheese factory. 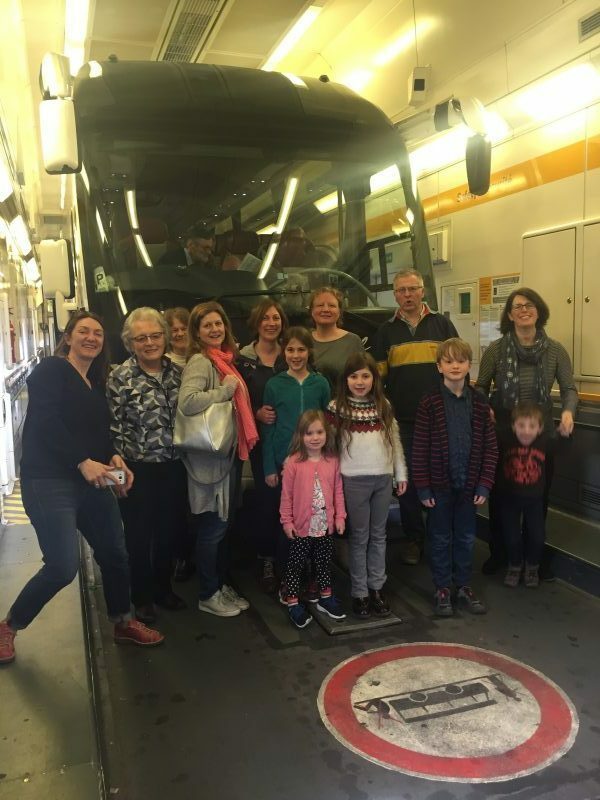 The adults were taken to Chantilly where they had a fascinating guided tour of the area, now part of the town, but which in the time of Louis XIV were vast gardens of canals, waterfalls and fountains created from the surrounding marshland by a noted French gardener. Joining in with family activities and understanding another culture was highly valued by our members. Being able to live as a member of another nation in a private home is an unsurpassed experience. Many of our English party remarked on the generous and expansive welcome we received in Verneuil and singing La Marseillaise and God Save the Queen had to be heard to be believed as a small bridge was dedicated along with a plaque to celebrate 30 years of twinning. We had a wonderful celebration over a meal, with toasts and cakes to die for. The time spent with the French families was remarked on again and again as being a special aspect of our brief visit. As one young child said, “EVERYTHING WAS AMAZING”, as indeed it was.